At AltSchool, our educators put students at the center of their own learning by equipping them with the knowledge, skills, and awareness to advocate for themselves. When a child takes purposeful initiative in his or her learning experiences, they become more engaged in and dedicated to learning. In our lab schools, we practice whole-child development, competency-based assessment, appropriate interventions, and project-based learning—all of which all aid in the development of student agency. Read more about Our Vision for Lab Schools. Utilizing goal-setting and allowing a child to determine his or her path to achieving that goal nurtures a high level of agency. This powerful combination also shifts the focus from linear “ladder” learning to robust “knot” learning. Ladder learning sets standardized objectives and a pace, but limits learners’ control over their pathways. In contrast, knot learning more accurately reflects the thinking we do as adults—offering multiple solutions, different angles of approach, and necessitating more critical thinking, which in turn teaches students more about themselves as problem-solvers. Read more about ladder and knot learning in What Is Personalized Learning? As educators, we continue to assign value to fostering student agency but often fall short on our ability to shift the locus of control from the educator to the student. Effective goal-setting plays a major role in creating this shift and giving students a voice. Here are five goal-setting strategies that we have utilized to effectively drive agency in our students. 1. Establish a foundation by focusing on learning over performance. Foundational work is essential to creating learning environments that enable effective goal-setting. Conference with your students and give them the opportunity to identify and explain where they are now, determine where they want to be, and begin thinking about how they want to get there. Establish an environment of safety, reflection, and support early on to enable students to take risks, think critically, and know that failures are valuable learning experiences. Prompt students to feel more in control of their learning by encouraging them to set learning or competency goals rather than performance goals. The difference between learning goals versus performance goals can be illustrated by a math problem: A child who can show his or her work and display an understanding of the process to arrive at the solution (even if the solution happens to be incorrect) shows more aptitude than one who simply writes the correct answer. 2. Provide goal-setting structures that enable students to set their own goals. ‍AltSchool’s Goals tool provides a structure for students to formulate goals and track progress towards them. Once students have a sense of where they are and understand that you’ll provide guidance and support, they can begin setting goals. For students to develop agency, they need to be able to internalize their current status and drive the learning process forward themselves by setting their own goals. Utilize SMART (Specific, Measurable, Achievable, Relevant, Time bound) or WOOP (Wish, Outcome, Obstacle, Plan) frameworks to structure the goal and facilitate student ownership. One effective way to structure and visualize goals with students: Allow them to choose a goal and its competency-based objectives, articulate what the goal is and means to them, identify some ways they can achieve it, and set a timeline for achieving the milestone. Read more about SMART and WOOP in Amplifying Goal-Setting with Technology. 3. Capture learning moments as they happen. ‍Capture allows students and educators to document evidence of progress and important learning moments. Capturing evidence of progress and learning is essential to monitoring progress around goals. It’s important to identify successes, roadblocks, and learning opportunities, and help students default to being proactive instead of reactive. Utilizing a tool that allows students to add artifacts from their learning journey will make it easy to pinpoint strengths, ah-ha moments, and places where they need additional support and guidance. Getting in the habit of recognizing learning moments also teaches students to be mindful of their process and reflect on important milestones. Meanwhile, you will be able to see examples of their thought process and moments that show they are actively working towards meeting their goals. 4. Cultivate a self-reflection mindset. Capturing progress is the first step in having students reflect on their learning journey. But collecting evidence is ineffectual without creating space for students to take a meaningful look at every stage (not just when the learning arc is completed), taking stock and identifying opportunities to look at the problem from a different lens, and finding opportunities to pivot if necessary. Although dedicating time to checking in, allowing self-reflection time, and scheduling feedback opportunities from you and peers (daily or weekly) are important, the ultimate goal is to nurture a self-reflection mindset. Teach students the process of reflection and let it pervade every aspect of their progress. Self-reflection is a continual process that empowers constant awareness, action, and iteration. 5. Create a growth portrait of the learner. Educators can get a complete, multi-dimensional picture of every learner in Progression. At AltSchool, we develop a portrait of a learner’s growth over time so we can help identify patterns and opportunities for support. 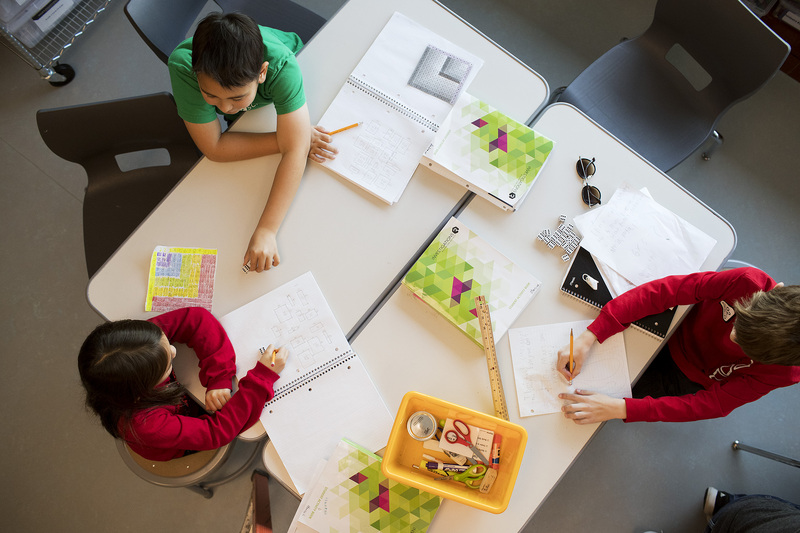 In whole-child learning, it’s important to see not just learning moments and evidence of progress and setbacks, but how learners handle challenges, identify and execute on strategies, and apply their learning beyond achieving a singular goal. Children are complicated, inquisitive, and thoughtful, and understanding how their minds work requires a multi-dimensional picture. Pulling it all together in one place is essential to understanding whole-child development and assessing how learners are growing, how they’ll carry these lessons with them, and gauge how they will tackle future goals independently. Creating this portrait is the perfect bookend to the first step of building a foundation.